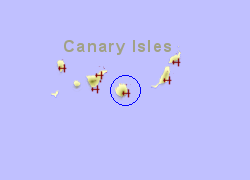 Las Palmas airport is situated 18Km South of Las Palmas on the GC-1 motorway and is 25Km from the resorts on the south of the island. 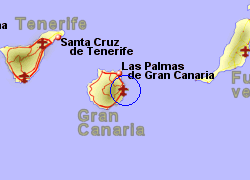 Bus hourly to Mespalomas 3.30 Euros, San Telmo 2 Euros. 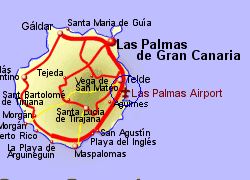 Taxi to Las Palmas approx 25 Euros, Playa del Ingles approx 35 Euros, Maspalomas approx 40 Euros.